Join us April 5, 6 and 7, 2019 for a relaxing weekend that combines knitting, great food, cozy accommodations here at The Lamplighter B&B, and a fun time with friends! The talented team from Nautical Yarn is back for the Ludington Historic B&B Association's 2nd Annual Knitters Weekend, and will be leading a class on their own "Lake Michigan Waves Shawl". Meet and greet while enjoying a light dinner in the Nautical Yarn Studio. Discover the yarn used in the pattern, the pattern design and the contents of the kit. Cast on and begin your Lake Michigan Waves Shawl! Enjoy a delicious start to your day with a two-course breakfast here at The Lamplighter, then head to Nautical Yarn's studio for the start of day 2, kicking off at 9AM. Spend the morning learning the eyelet stitches used in the shawl pattern, as well as a variety of methods to transition colors while working on your project. After lunch, learn the 'waves' lace stitches and practice a set or two. Then it's time for a break! Explore Ludington and enjoy dinner on your own. 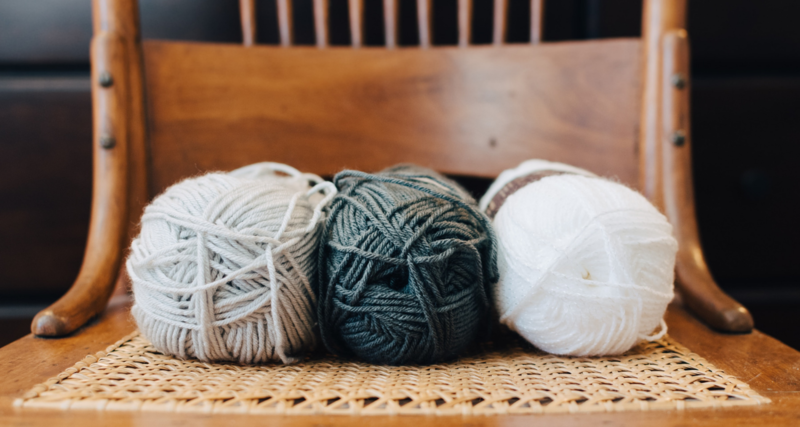 Saturday evening, knit and enjoy new-found friends at a knitting reception at one of the participating B&B's, complete with wine and desserts, gifts and other door prizes too! Sunday morning, learn the third lace pattern - the beautiful 'White Caps' border. Spend time working on your project and participate in a Q&A session before wrapping up the event at Noon. The cost to participate in the weekend is $125, plus a 2-night stay here at The Lamplighter B&B. To reserve your space in the class, you may call us at 231-843-9792 to register for the event, or book online and select the "Knitters Weekend" upgrade during the booking process. All classes will be held at Nautical Yarn's studio, located at 108 South Rath Avenue in downtown Ludington. The Lamplighter B&B is a short, one-minute drive or 9-minute walk, to the studio! You may bring yarn from your stash, or purchase the Lake Michigan Waves Shawl Kit from Nautical Yarn for $115 (more than a 10% discount). For a detailed list of supplies needed, please click here to visit Nautical Yarn's page about the event.